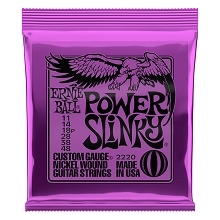 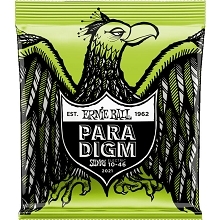 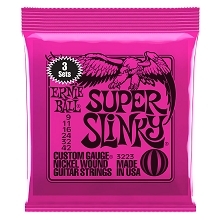 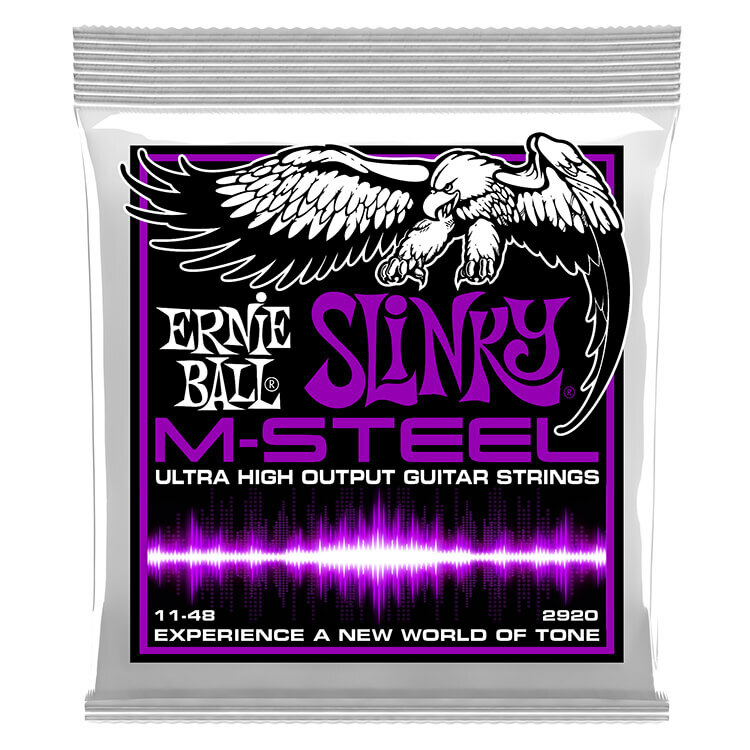 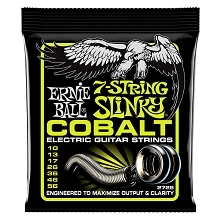 Ernie Ball M-Steel Electric Guitar Strings are constructed of Ernie Ball's patented Super Cobalt alloy wrapped around a Maraging steel hex core. 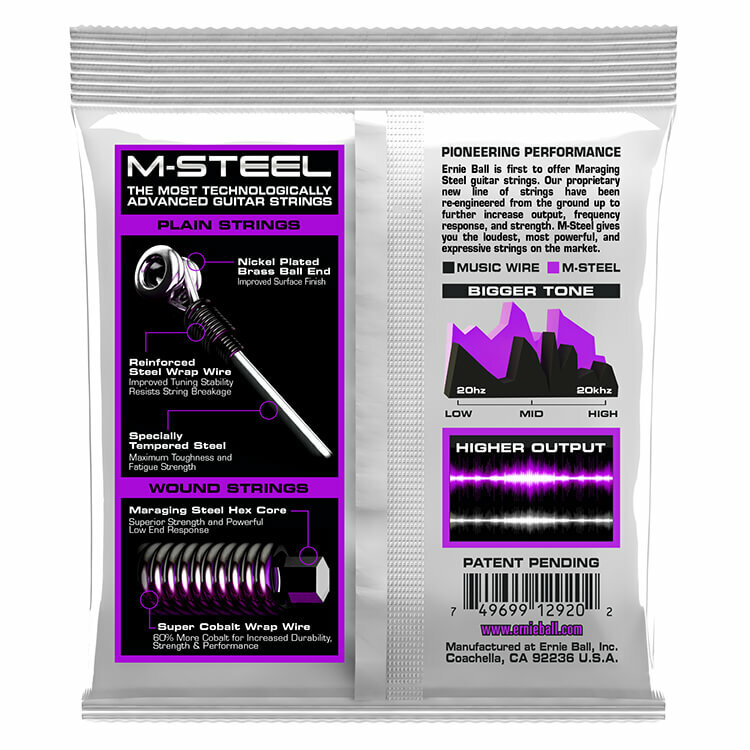 This M-Steel formula produces a richer and fuller tone with a powerful low-end response. 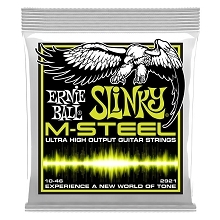 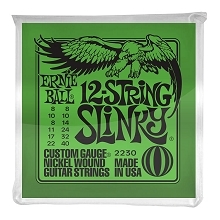 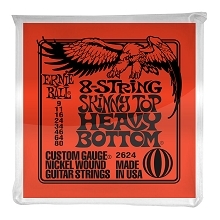 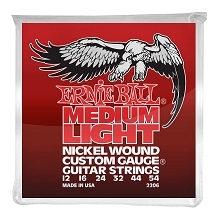 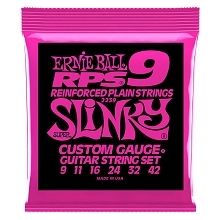 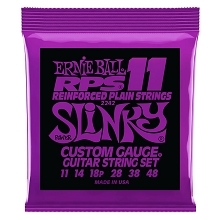 The Plain Steel strings in the Ernie Ball M-Steel sets are tempered steel for maximum fatigue resistance. 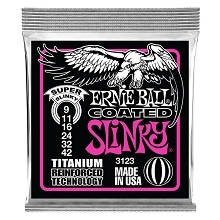 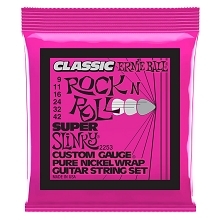 The Plain Steel strings also utilize a patented winding of steel around the ball end that reduces slippage, breakage, and stays in tune better than traditionally lock wound plain steel strings.